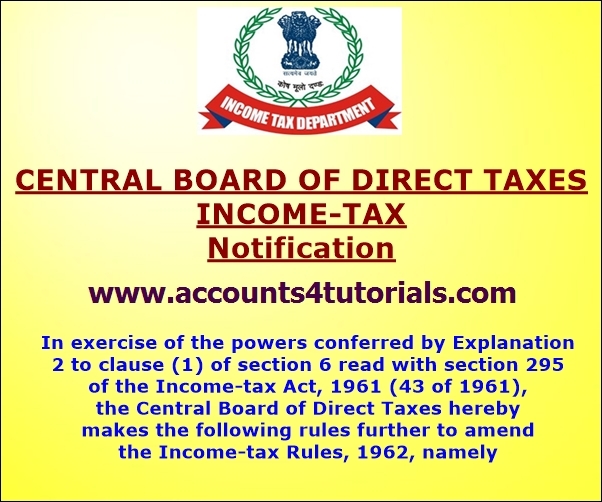 These rules may be called the Income-tax (Twelfth Amendment) Rules, 2015. They shall come into force with retrospective effect from the 1st day of April, 2015. ‘126. Computation of period of stay in India in certain cases. - (1). For the purposes of clause (1) of section 6, in case of an individual, being a citizen of India and a member of the crew of a ship, the period or periods of stay in India shall, in respect of an eligible voyage, not include the period computed in accordance with sub-rule (2). (2). The period referred to in sub-rule (1) shall be the period beginning on the date entered into the Continuous Discharge Certificate in respect of joining the ship by the said individual for the eligible voyage and ending on the date entered into the Continuous Discharge Certificate in respect of signing off by that individual from the ship in respect of such voyage. (ii) for the voyage having originated from any port outside India, has as its destination any port in India.’. Note. - The principal rules were published vide notification S.O. 969 (E), dated the 26th March, 1962 and last amended vide notification S.O. 2155(E), dated the 7th August, 2015.